Langley – The Village Memory Care Project is in Langley. Inspired by the dutch dementia village de Hogeweyk,and the Green House Project in the USA, this unique 5 acre village styled community will be a first of it’s kind in Canada. The project organizers have confirmed that an Executive Director is in place and more on that person is coming up soon. The original FVN story can be found here. Comprised of six, single-storey cottage-style homes and a community centre and will be the home to 78 people. This is a first time concept in Canada. The Village is at 3920 198th Street, (the Old Bradshaw Elementary School site) and is expected to be completed by June 2019. 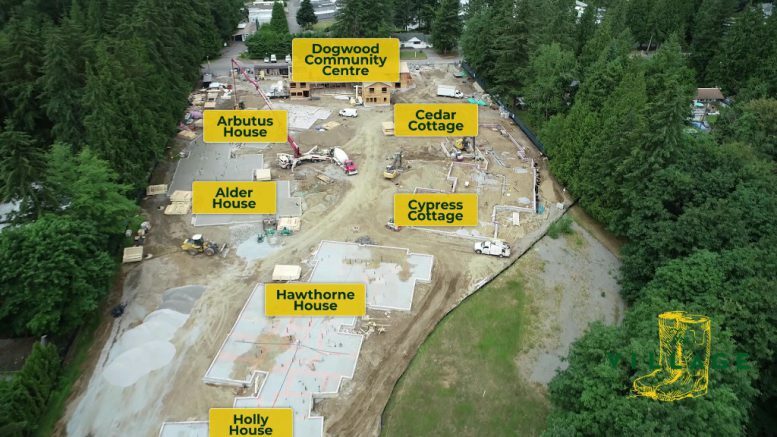 Be the first to comment on "The Langley Dementia Village Project – On Track For 2019 Opening (VIDEO)"